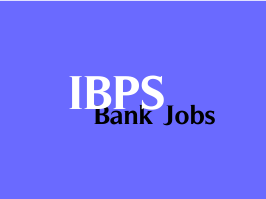 Institute of Banking Personnel Selection (IBPS) invites applications for the post of Deputy Head - Administration on contract basis (02 Years, may be renewed). The last date for receipt of applications is 5th May 2016. Educational Qualification (as on 01/04/2016): Degree in any discipline. Experience: He/she must have worked at the rank of AGM and above or equivalent position in Banks and / or Banking related organisations. He / She must have a good command over English and must be good in interpersonal relations. How to Apply: Interested candidates may forward their applications giving details of job experience, salary drawn & expected, etc. on plain paper per attached format along with self-attested Xerox copies of all necessary documents to THE GENERAL MANAGER, INSTITUTE OF BANKING PERSONNEL SELECTION, IBPS HOUSE, PLOT NO.166, 90 FT DP ROAD, OFF WESTERN EXPRESS HIGHWAY, KANDIVALI (EAST), MUMBAI 400 101. The Last date of receipt of application is 05/05/2016 (before 5.00 PM). Applicants must super-scribe "Application for the post of Deputy Head- Administration" on the top of the upper part of the sealed envelope containing the application.